Caterham Group has today launched its first ever motorcycle division – Caterham Bikes – at the International Motorcycle Exhibition (EICMA) in Milan. Three prototype products – the Brutus 750 (dubbed the ‘SUV of motorcycles’), Classic E-Bike (an all-electric, bike with retro styling) and the Carbon E-Bike (a premium electric bike inspired by F1 technology) – have been unveiled for launch throughout 2014 as part of the Group’s strategy of growth through intelligent partnerships. 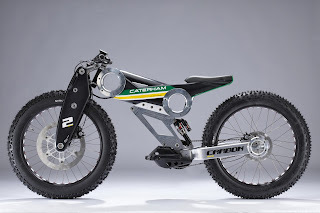 The arrival of Caterham Bikes is a natural extension to the expanding Caterham Group since the purchase of the historic Caterham Cars brand in April 2011 by Tony Fernandes and Dato’ Kamarudin Meranun. The two-wheeled division joins Caterham F1 Team, Caterham Racing (GP2), Caterham Technology & Innovation, Caterham Composites and the latest arm, Caterham Moto Racing Team, in the rapidly growing Caterham family. 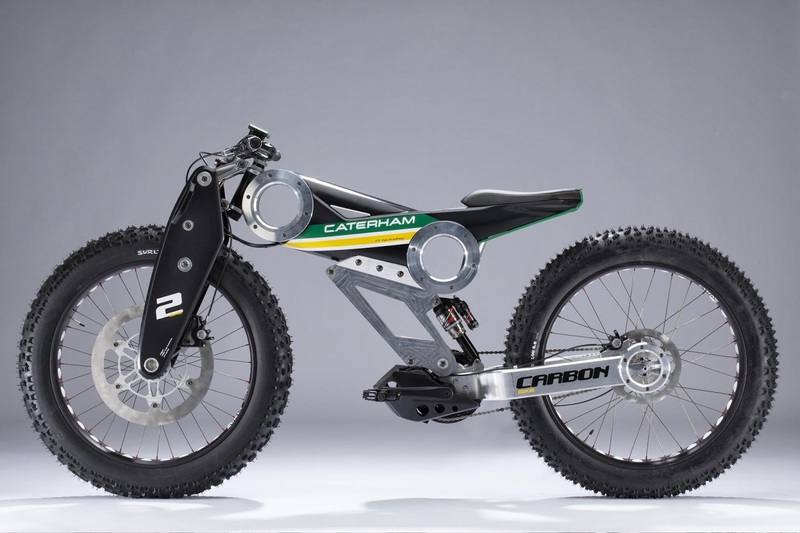 Carrying Caterham’s DNA of British heritage, performance and intuitive handling characteristics, the new products will also adhere to the brand’s ethos of delivering ‘accessible fun’. The iconic Caterham Seven sportscar is fondly referred to as the closest experience to motorcycle riding on four wheels so this move, the brand’s first foray into road bikes, is a natural step and follows the launch last month of the Caterham Moto2 race team. 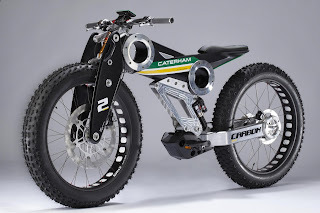 Mirroring the business experience and strategy employed successfully by Tony Fernandes and Dato’ Kamarudin to make budget airline AirAsia the most profitable in the world, Caterham Bikes has allied itself with some of the brightest motorcycle entrepreneurs in Europe and Asia. 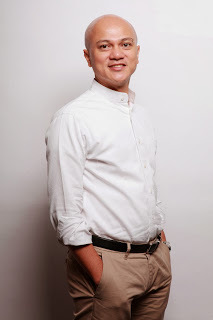 The new division will be spearheaded by Al-Ishsal Ishak as CEO. Ishsal comes to Caterham Bikes from his previous role with AirAsia as Group Head of Ancillary Income. 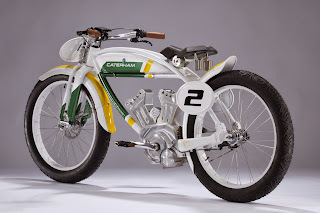 The management team is made complete with Chief Designer Alessandro Tartarini, Chief Engineer Zeno Panarari, both known for their entrepreneurial spirit and product development prowess, along with businessman and ex-MotoGP racer, Andreas Leuthe who will head up the distribution and sales function. 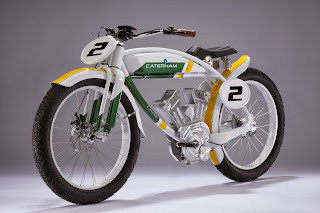 Production of the three launch bikes – all priced affordably – will begin as early as Spring 2014, with the Brutus 750 the first to be built, followed by the two electric bikes later in the year. 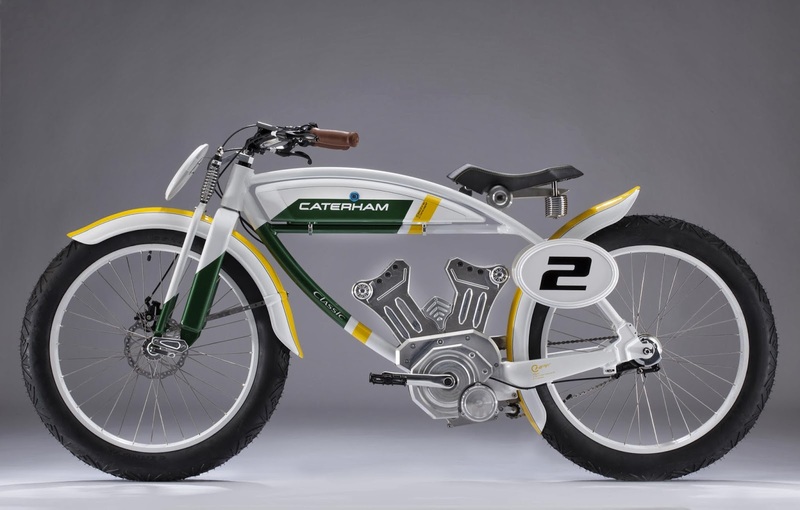 The Caterham Bikes business strategy caters for the growing global demand for environmentally-friendly and multi-purposed, two-wheeled vehicles. 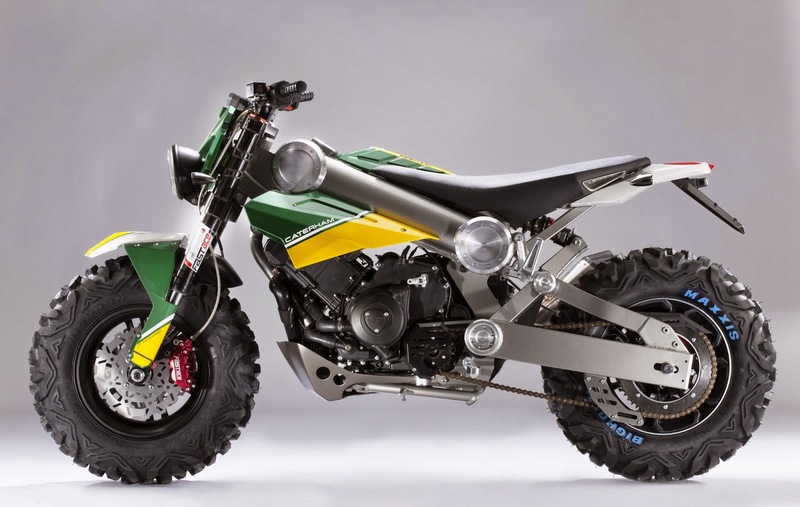 Beginning with the European, North and South American markets, the Group’s key growth market will be in Asia, reflecting the burgeoning demand for such vehicles across those territories. 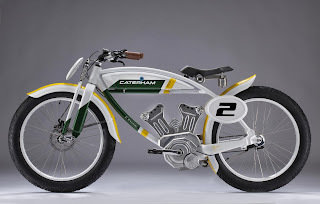 Ishak said: “We are realistic and honest enough to know that we’re not in the business of rivalling the establishment; we’re here to offer an alternative that befits the spirit of Caterham. 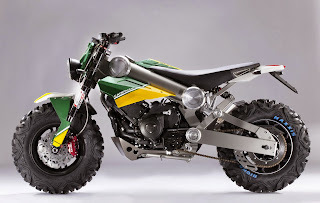 - Brutus 750 – described as the “SUV of motorcycles”, menacing in stance but surprisingly nimble to ride, the Brutus 750 can operate as a street bike, off-road machine or even a snowmobile (conversion in less than four hours). 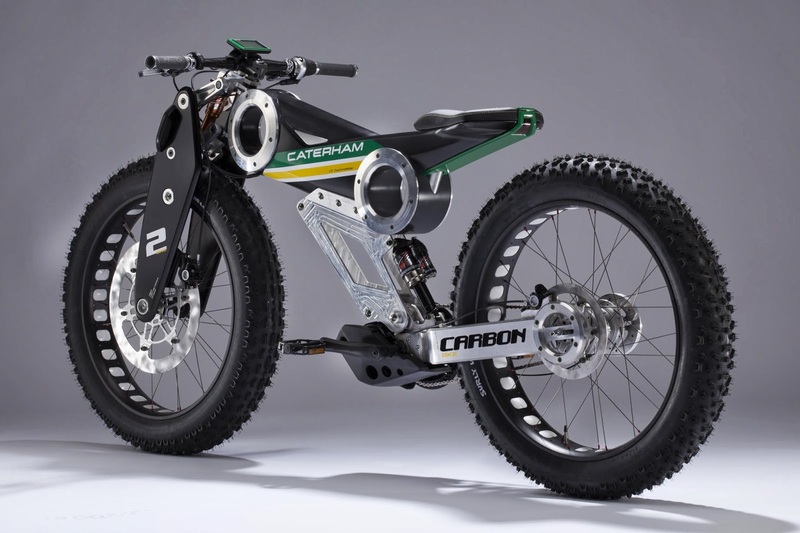 It is the first motorcycle with an automatic transmission and the first ever two-wheel SUV. All three products will be on display at Hall 10, Booth H94 throughout the Nov 5-10 show.